Melissa Bell began her training in 1992 at the Aikido Shobukan Dojo in Washington D.C. under Mitsugi Saotome Shihan, and other senior instructors including Patty Saotome Sensei and Frank Bell Sensei. Melissa Bell presently holds the rank of 4th degree black belt (Yondan) in Aikido (A.S.U. and Aikikai) and has received all of her ranks directly from Saotome Sensei. 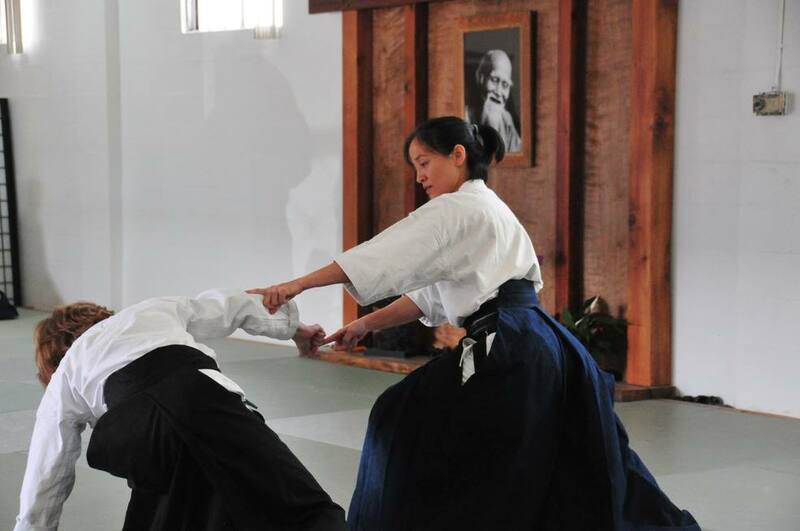 In addition, she has received the honor of the Ueshiba Juku designation from Saotome Sensei. Melissa Bell teaches regularly at this dojo and also at the 12th Street Dojo in Sarasota, while continuing her own training at the Jionjuku Aikido Academy of Warrior Spirit in Largo, Florida under John Messores Sensei, and at national seminars under Saotome Sensei. She has also trained through the rank of Shodan in Shotokan Karate under Rick Hotton, Sensei at the West Wind Karate Dojo in Sarasota, Florida.